The final version of Opera 10.60 has arrived, with Opera claming that its latest browser is the fastest in 'key browser tests'. Although it is still well behind the likes of Internet Explorer, Mozilla Firefox and both Safari from Apple and Google Chrome, Opera is still a significant player in the browser market. 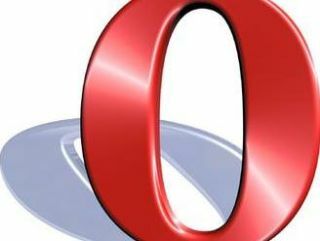 "With the final version of Opera 10.60, the browser scores more than 50 percent faster than its predecessor - which was the fastest browser on Earth - in key benchmark tests," said Opera. Although there will be the usual quibbling about which browser is faster, Opera did tell TechRadar back in May, that this version was the fastest. "Geolocation eases the work of putting you on the map by determining your position," adds Opera. "To ensure your privacy, you have full control over when this feature is used. "Opera is first to give you built-in video playback with the open WebM format that gives you optimized video right in the browser on all platforms. "Other Opera features such as offline applications let you work using web-based applications, without Internet connectivity." You can download Opera 10.6 from www.opera.com.